Richardson’s guide to the most beautiful spots in Norfolk. A Grade II listed building, Cromer Pier is an impressive 151-metre long, traditional Victorian pier. One of just give United Kingdom seaside piers with a fully-functioning theatre, the pier is open all year round, and is a popular spot with locals and holidaymakers alike for some crabbing! A popular spot for filmmakers, Cromer Pier has featured in films and television such as ‘Location Location Location’, Agatha Christie productions and ‘In Love with Alma Cogan’! With our roots firmly planted in the beautiful man-made wetlands that is the Broads National Park, we love so many beautiful spots in this part of the county! 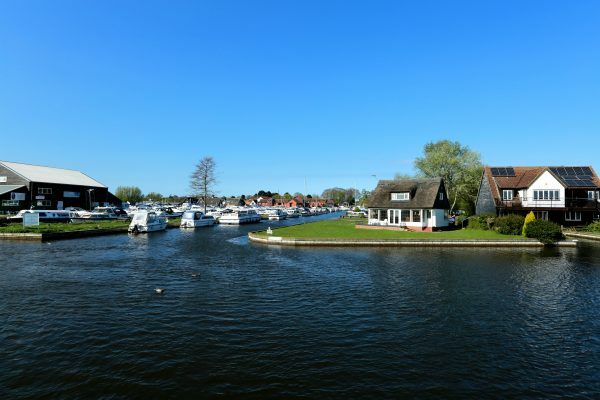 One of the most beautiful spots in Norfolk is the beautiful Broads village of Horning, often noted as the prettiest destination in the Broads. With waterside pubs, shops, restaurant and tea rooms, Horning is definitely worth a visit. 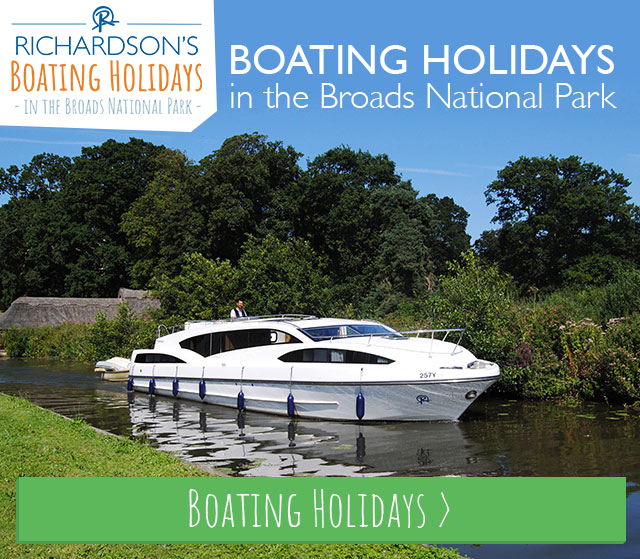 Why not hire a day boat from Richardson’s Day Boats in Wroxham and cruise down the river, moor up and explore? A beautiful village on the North Norfolk coast, Wells-next-the-Sea is bursting with pretty places to visit, not least its famous pretty sandy beach, home to pine trees, sand dunes and brightly coloured beach huts! A designated Area of Outstanding Natural Beauty, this beach is ideal for nature lovers. Dogs are welcome during certain times of the year, so why not bring the dog along to one of the most beautiful spots in Norfolk? Elm Hill, Norwich Elm Hill is arguably the most famous street in Norwich, being the most complete medieval street in the city. 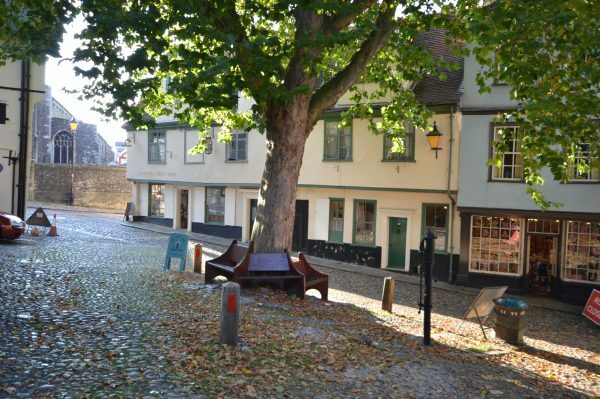 With a major fire destroying much of Elm Hill in 1507, the surrounding buildings were subsequently rebuilt and stand today for the enjoyment of visitors to Norwich along cobbled streets with some independent, speciality shops along the way. The street itself is very beautiful, so make sure to take some snaps! 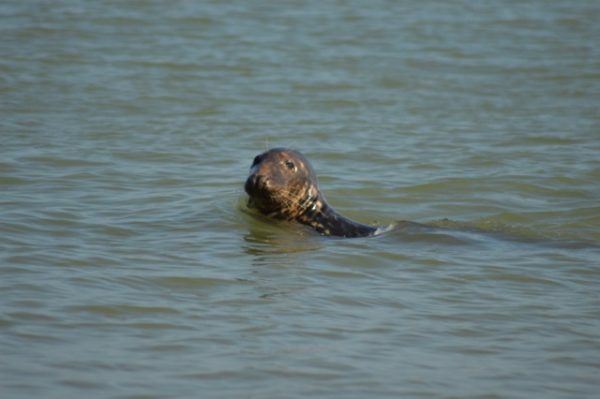 The Seals at Horsey Beach Horsey beach is a wonderful place to visit whilst on holiday at Hemsby Beach Holiday Park – not least because of the adorable seals that inhabit its beaches, making it truly one of the most beautiful spots in Norfolk. Why not read our guide on Spotting the Seals on our website here?